Press Release: NetEvents Cloud Innovation Awards 2014 – Finalists announced! You are here: Home / News / Blog / Press Release: NetEvents Cloud Innovation Awards 2014 – Finalists announced! Los Gatos, California 24th March 2014: Finalists have been announced for all eight categories of Cloud Innovation Awards 2014, celebrating organizations and individuals that lead the world by innovation and performance in the cloud sector. An independent panel – including leading IT industry gurus and senior figures from the foremost international technology press and industry analyst organizations – will judge the awards, which will be presented on Thursday 27th March in conjunction with NetEvents Cloud Innovation Summit at The Toll House, Los Gatos, California, USA. All proceeds from the dinner and awards will go to the America Cancer Society and the Prostate Project Foundation. There are seven award categories for organisations, plus one individual “Industry Idol” award. The NetEvents Cloud Innovation Summit is part of the on-going NetEvents Global press & Analyst Summit program. It is a two-day event that includes a stimulating conference program plus the opportunity for vendor companies to pre-arrange a series of scheduled briefings with press and analysts from around the globe – in a single location chosen to provide a conducive networking environment. 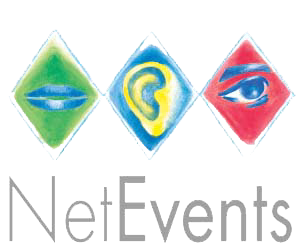 Click here for full details of the NetEvents program of events.